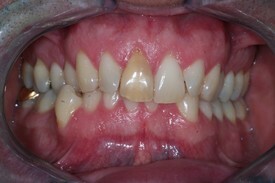 This patient wanted straighter, whiter teeth. 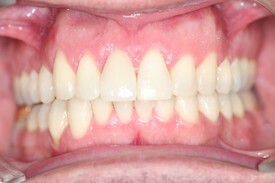 We did orthodontics (braces), a new crown on a front tooth and whitening. Yes, we do all this in our office in Banff!